The mission of WID is to discover and inspire through interdisciplinary research conducted in a dynamic, collaborative community. WID advances frontiers of knowledge, accelerates development of solutions, and engages the State of Wisconsin through interdisciplinary research. WID experiments with new ways of creating unlikely campus-wide interdisciplinary research teams that generate unexpected discoveries. Researchers at WID are dedicated to fundamental discovery, applied research, and new pathways to collaborations that will contribute to improving the health of people and the food supply in Wisconsin and the world. We seek partnerships with the Morgridge Institute for Research, the University of Wisconsin–Madison, the State of Wisconsin, and others, using a “campus crowd-sourcing” approach to produce unexpected research collaborations that push the limits of modern science. WID is located in the award-winning Discovery Building along with its partners the private, non-profit Morgridge Institute for Research and the Wisconsin Alumni Research Foundation. WID’s collaborative research community relies on grant support from a variety of sponsors. Since opening in 2010, the Institute has been awarded and administered more than $22 million in grant funding from a variety of foundations and agencies. The Institute also benefits from the state of Wisconsin’s initial investment in the Discovery Building as well as for ongoing operational support. 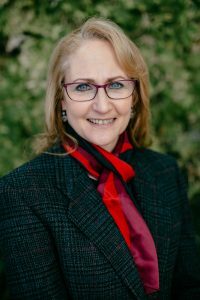 Jo Handelsman is the Director of the Wisconsin Institute for Discovery at the University of Wisconsin-Madison where she serves as a Vilas Research Professor and Howard Hughes Medical Institute Professor. Handelsman received her Ph.D. at the University of Wisconsin-Madison in Molecular Biology and served on the UW faculty for 25 years before moving to Yale University in 2010. She served as a science advisor to President Obama and directed the Science Division of the White House Office of Science and Technology Policy (OSTP) from 2014 to 2017. In February 2017, Handelsman returned to Madison as the Director of the Wisconsin Institute for Discovery where her research focuses on genetic and biochemical processes underlying interactions within plant and human microbiomes. The Wisconsin Institute for Discovery (WID) was created in 2010 to explore new ways of generating innovation in science and engineering. Its first years were dedicated to building an outstanding team of 19 faculty members with dynamic, groundbreaking research programs that have generated more than 500 publications in data sciences, tissue engineering, nanomedicine, multi-omics, and complex systems.